Prosecutors in Texas are dismissing a felony charge against NFL defensive end Michael Bennett, who was accused of pushing the arm of a paraplegic security guard while trying to get onto the field after Super Bowl LI in Houston. The Harris County district attorney's office announced the decision Wednesday. 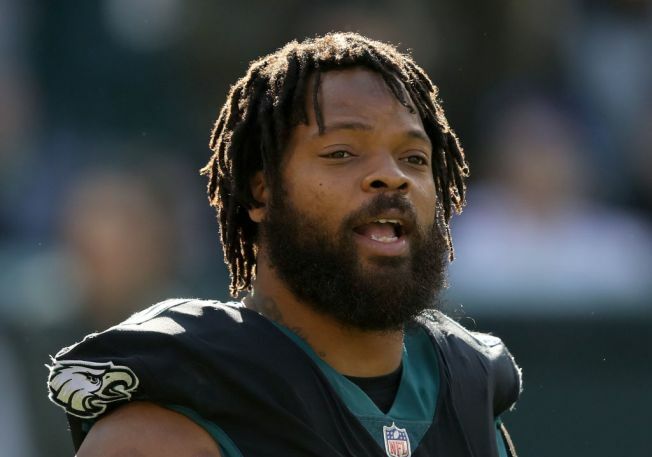 Bennett, recently traded to the New England Patriots, was indicted by a grand jury in March 2018 on a felony count of injury to the elderly. Vivian King, the DA's chief of staff, said "a crime could not be proven beyond a reasonable doubt." Bennett was a spectator at the 2017 game and a member of the Philadelphia Eagles when he tried to get onto the field after the Patriots' win to see his brother, Martellus Bennett, a tight end for New England at the time. The Patriots had trailed the Atlanta Falcons 28-3 at one point in the third quarter, but came back to take the championship with a 34-28 overtime victory.